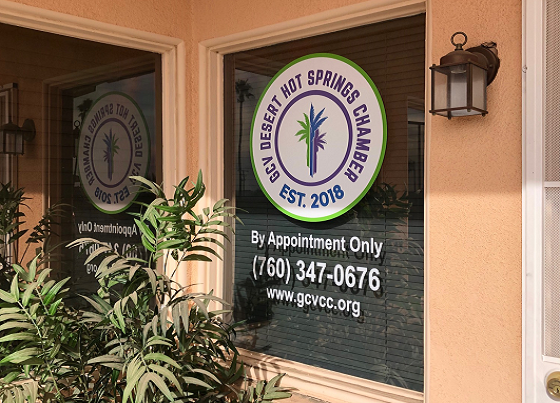 Desert Hot Springs, CA: The Greater Coachella Valley Chamber of Commerce is proud to announce the grand opening of the GCV Desert Hot Springs Chamber of Commerce. The GCV Desert Hot Springs Chamber of Commerce Business District Committee will also meet that same day to officially launch The Chamber’s fifth local chamber affiliate. The Grand Opening & Ribbon Cutting Celebration for the GCV Desert Hot Springs Chamber Office will be held on Friday, December 7th, at 2:00 PM. The office is located at 12561 Palm Dr., Desert Hot Springs. The Greater Coachella Valley Chamber of Commerce Ribbon Cutting Celebrations are generously sponsored by Costco, Carmen Contreras State Farm and CBS Local 2. Admission is always free, all are welcome.